Re-transfer printers are the preferred method for printing on all types of embedded chip cards. The re-transfer print method virtually eliminates print quality issues associated with direct to card printing. 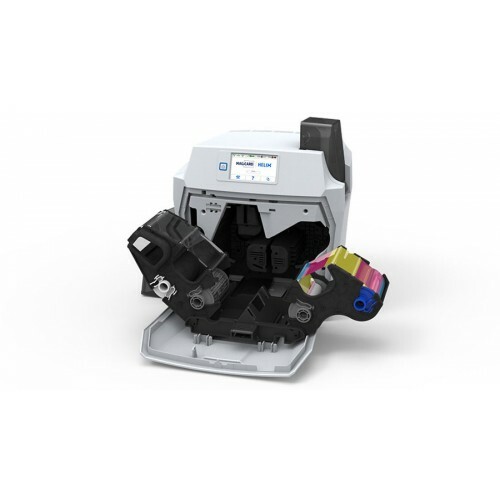 Helix is the World’s first re-transfer printer with built-in visual security. 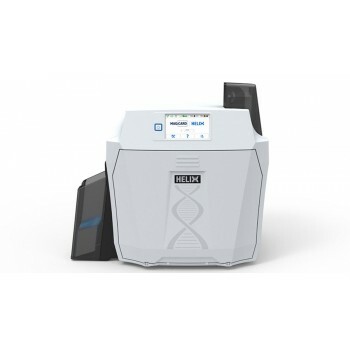 Using an evolution of Magicard’s famous HoloKote® security feature, Helix can apply a secure watermark to each card during the re-transfer process. This feature also exploits the wavelengths and lens effect of the re-transfer film to fluoresce under UV lighting conditions. The Magicard Helix uses a retransfer printing process, where images are first printed onto a thin film then heat transferred onto the card surface. This produces our highest resolution photo quality image, printed right over the edge of the card. By printing on to this controlled substrate, print imperfections due to irregular card surfaces or around embedded card chips are eliminated. Equipped with a high grade processing unit, Helix is powered by Magicard’s most advanced and durable print engine and features our highest capacity consumables (1000 prints) and hoppers (200 cards), making it ideal for high volume localized or even centralized issuance. 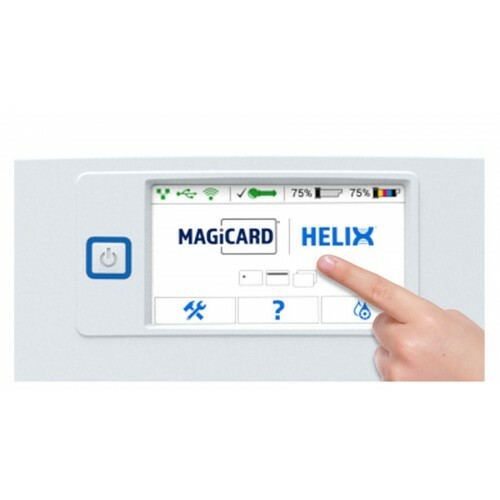 The Magicard Helix can be equipped with a range of card encoding devices to write secure electronic data to cards at the point of issuance. Smart card encoding options include contact chip, MIFARE®, DESFire® and iClass®. Specialist high-security encoders, such as EMV accredited devices, can also be fitted for the in-line personalization of payment cards. The Helix can also be supplied with a magnetic stripe encoder built-in. 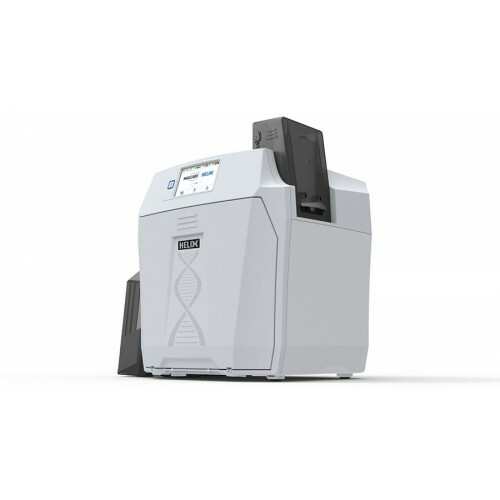 Magicard Helix with UltraCoverPlus – our promise to keep you printing. The reliability of most advanced print engine enables us to offer you a comprehensive 3 year warranty with full telephone and online support. 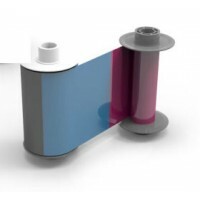 This includes a free replacement for any printhead damaged over the lifetime of the warranty. In the unlikely event of a field failure, we will send you a replacement loan printer to you whilst we repair your existing device.